The first ionizing cord ever developed! 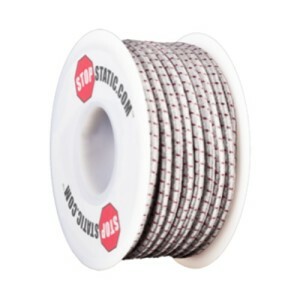 StaticString™ is low-cost, lightweight & flexible. It removes the problems of static electricity with tiny conductive micro-fibers that cause the static charge to ionize and flow to ground. StaticString™ provides clean performance (no oxidation, copper contamination or scratching) and can adapt to irregular surfaces such as the changing diameter of a winding roll. 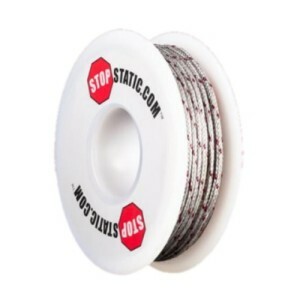 StaticElastic™ features all the static eliminating properties of StaticString™, plus it can stretch out of the way when needed and spring back into position. 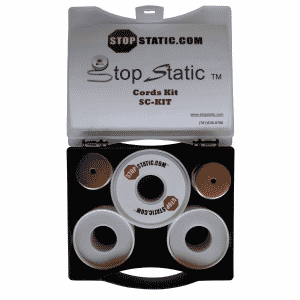 StaticElastic™ is a great solution for applications requiring access to equipment for maintenance and web splices. Place StaticElastic™ across the surface to be neutralized and ground it to the bare metal of the machine. Adjust the distance from the charged sheet or web from direct contact to up to two inches away until you get the optimum static neutralization. StaticElastic™ can be placed under or over a web or sheet and in multiple locations where static develops. 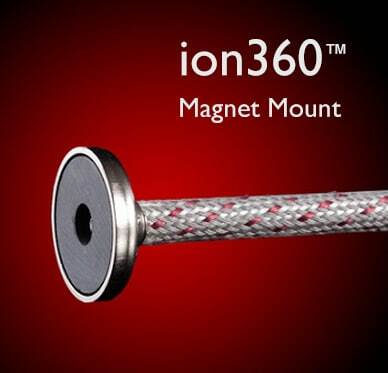 The ion360™ Rod system advances the technology of static elimination and is used by the largest converting companies such as 3M, Unilever and Alcan Packaging. 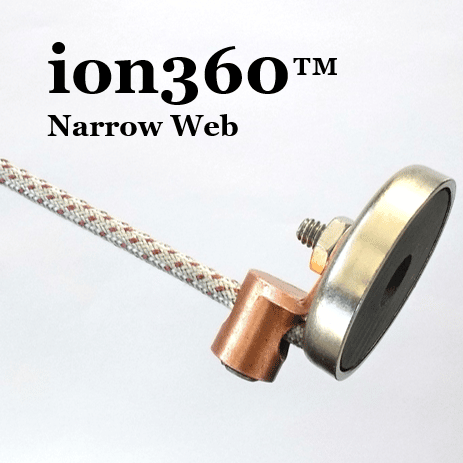 The conductive micro-fiber rich surface provide a full 360-degree field of static elimination making all sides of the rod effective regardless of the web speed or high static voltage. This eliminates the need for cleaning, calibration, and declining performance. 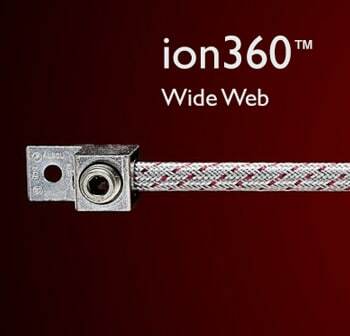 The ion360™ ion Rod is a direct replacement for electric static bars. 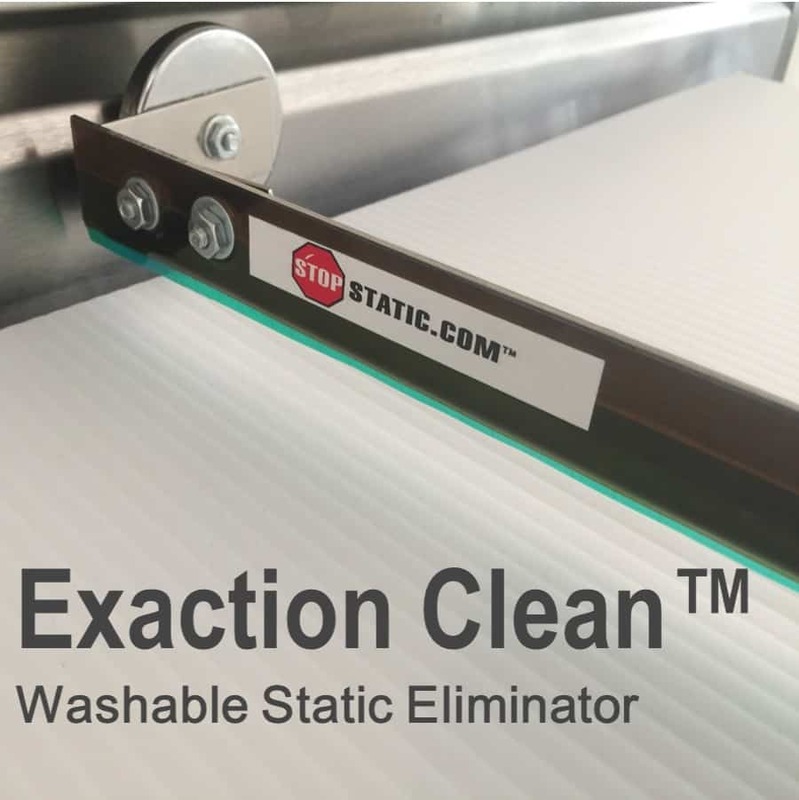 TheExaction Clean is an ionizing flat rod that has embedded conductive stainless steel that will not shed or lose any micro-fibers. The bar is designed to be cleaned easily and like our other products still attracts a static charge by ionizing the static field and allowing the residual flow of electrons to attract off your materials towards ground.